Photos were released of Jennifer Lawrence and Josh Hutcherson as Katniss and Peeta in The Hunger Games: Catching Fire, the sequel to — you already know. Sure, they were victorious, but there was no resolution to the overarching plot. President Snow and the Capitol were still in control. 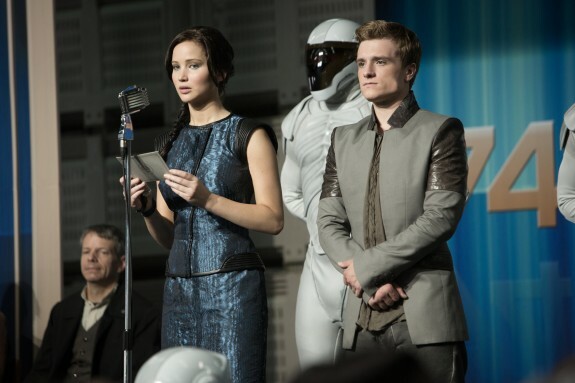 In Catching Fire, Katniss and Peeta go on a “Victory Tour” throughout the districts, essentially being used by the Capitol to keep the districts placid. Katniss learns that rebellion is still on the horizon, while the Capitol begins the 75 Hunger Games. I enjoyed the first movie, so it’s a given that I’m looking forward to the sequel. The Hunger Games: Catching Fire hits theaters November 22.